You squeeze, it measures! Keep a track on your progress, build & measure your strength. Who needs a Kegel8 Pelvic Trainer? You do. 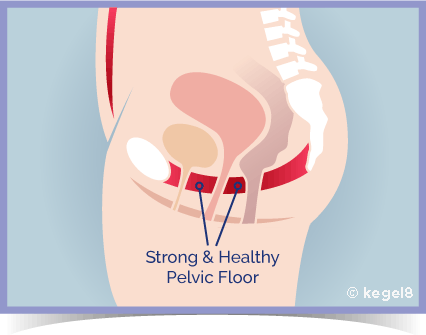 Every woman should exercise her pelvic floor muscles daily to keep them working properly. Daily - yes that's right. Are you admitting that you don't even exercise them from one year to the next, let alone daily? You are not alone, and that's probably the reason why here in the UK women are experiencing record numbers of pelvic floor problems directly attributable to a weak pelvic floor. Even if you have just one of the symptoms of a weak pelvic floor, we want you to know that in just 12 weeks the Kegel8 Pelvic Trainer can help you to get strong again. 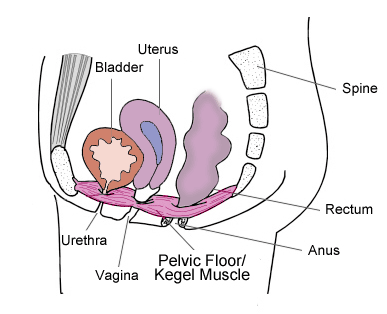 A weak pelvic floor will not magically get stronger - it just gets weaker and weaker. Just 12 weeks with the Kegel8 Pelvic Trainer will reap you BIG rewards! We all know that you don't 'need' a machine to help you exercise your pelvic floor muscles. However, the Kegel8 Pelvic Trainer lets you know if you are exercising correctly and it will help you to measure the improvement too. This strength measuring is vital to the success of your 12-week exercise plan! 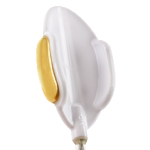 The Kegel8 Pelvic Trainer sensor automatically inflates for a perfect comfortable fit. As you squeeze your pelvic floor muscles correctly it uses 'biofeedback' to measure your pelvic muscle strength, teaching you the art of perfect pelvic floor exercises. So not only does it help you to locate the correct muscles, exercise them correctly and help get them stronger - more importantly NO SQUEEZE IS EVER WASTED! I've tried kegels - they don't work! The wrong muscles are being squeezed such as the buttocks or thighs. Boredom - doing kegel exercises can be boring and it is difficult to keep motivated because progress can be slow and almost impossible to measure. We give up too soon - 12 weeks is all you need - it'll last you years! Not relaxing properly between squeezes - relaxing the pelvic floor muscles properly gives the blood chance to flow back into the muscles, feeding and strengthening - vitally important! So why does the Kegel8 Trainer work? Any exercise is more effective with a partner - when it comes to pelvic floor exercise, the Kegel8 Trainer is your perfect partner! With the Kegel8 Trainer you target the muscles correctly! No cheating, no pretending, and definitely no faking. Boredom won't come into it, you'll be fascinated by the screen and because you can measure your progress, you'll want more! Measure it and monitor it with the unique Squeeze Scale! Follow your progress every time you kegel exercise. 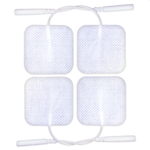 Relaxation between muscle contractions is vital for effective kegels and by following the screen you'll see that you are relaxing properly - this enables good circulation which improves your exercising results! You'll be guided through timed, slow and then fast kegel exercises with on-screen prompts telling you when to squeeze and lift the pelvic floor muscles and when and how long to relax. This precise pelvic floor muscle training will guide you through the exercise routines to ensure you get the best results with a perfect balance of slow and fast kegels to achieve optimum pelvic floor strength. If you want to do your own exercises then freestyle! So, if you leak when you cough, sneeze, laugh or run, you'll want to practice fast flex exercises. If you find you can't go very long between loo visits or you often need to get up in the night to empty your bladder, focus on slow exercises. This mode can also be used to check your strength whenever you please without completing the Training Mode. With the Kegel8 Pelvic Trainer you'll learn how to do both types of pelvic floor exercise for maximum success. We're not going to go all technical on you, but this will help you to understand how your pelvic floor works, and more importantly what type of exercises you should be doing, and why. Slow Flex or slow kegels are for 'endurance'. The deepest pelvic floor muscles run from our pubic bone to the tail bone and have mainly slow twitch fibres. These muscles stabilise our core holding our bladder, bowel and uterus in place, to exercise these muscles we must perform 'slow flex' exercises. Fast Flex or fast kegels for fast twitch fibres help to 'fire' the sphincter muscles into action, stopping the flow of urine and holding back wind preventing embarrassing accidents. These fast twitch fibres contract quickly and with force when we cough or sneeze; to keep these muscles working as nature intended, we must perform 'fast flex' exercises. A weak pelvic floor is embarrassing - it's time to get strong! When you use the Squeeze Scale, you'll be able to monitor and check your progress. After all you wouldn't go on a diet without weighing yourself first would you - so why start kegel exercising without knowing how strong your muscles really are. If your squeeze score is 9 - Wow! How does it feel to be top of the Squeeze Scale... amazing! The control, the core strength - not to mention your love-life! Keep up the great work! 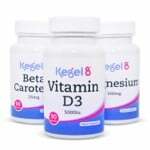 With results like this you'll be a Kegel8-addict! If your squeeze score is 7 - 8 - Well done! At this point of the Squeeze Scale you'll feel really toned and confident... Your partner will certainly have noticed a difference in the bedroom too! If your squeeze score is 4 - 6 - This is a moderate score and a nice Squeeze Scale reading to build upon but you could be stronger. This is a turning point - stay focused and motivated and you'll be heading for kegel muscles of steel. Start to slack and you'll notice early signs of pelvic floor weakness. If your squeeze score is 1 - 3 - You may not be as strong as you might have thought or perhaps desperate dashes to the loo had you expecting a low Squeeze Scale reading. Either way, don't be disheartened - this is the motivation you need so get Kegel8-ing! Invest in a Kegel8 Pelvic Trainer today, give us 12 weeks and you could enjoy a stronger pelvic floor tomorrow. The consequences of a weak pelvic floor are not an inevitable part of ageing/motherhood/menopause and Kegel8 is here to help you every step of the way! Who shouldn't use the Kegel8 Pelvic Trainer? You are pregnant* - After you've welcomed your new arrival, the Kegel8 Pelvic Trainer will be there get you back into shape after your 6-week check-up. You have pelvic pain* - Undiagnosed pain, infections, vaginal or rectal conditions. Do not use if you have vaginal varicose veins or while undergoing IVF. You have a uterine prolapse* - As you may not be able to insert the probe to an enough depth. You may be able to use this if you have a bladder or bowel prolapse - the probe needs to be inserted 2 inches. 1 year Manufacturers Warranty. Extended warranty available.